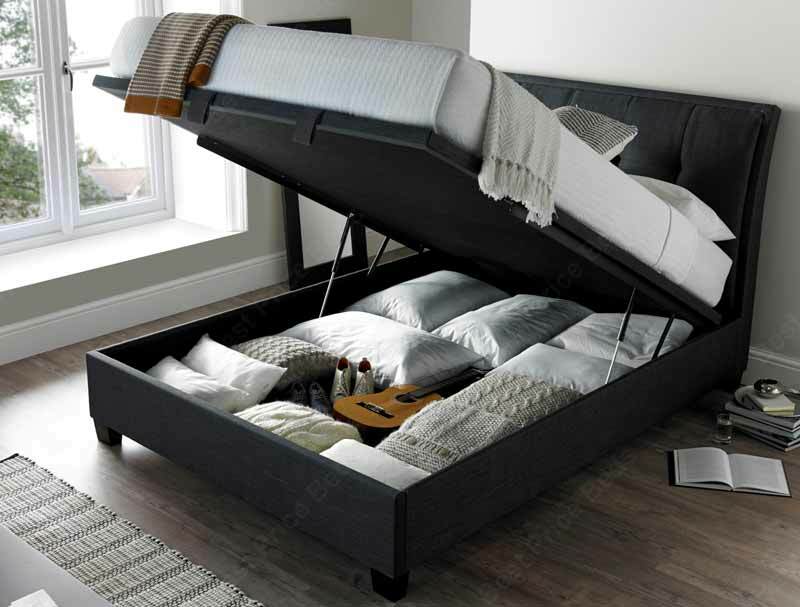 The Kaydian Accent is a stylish modern style upholstered ottoman bed frame. 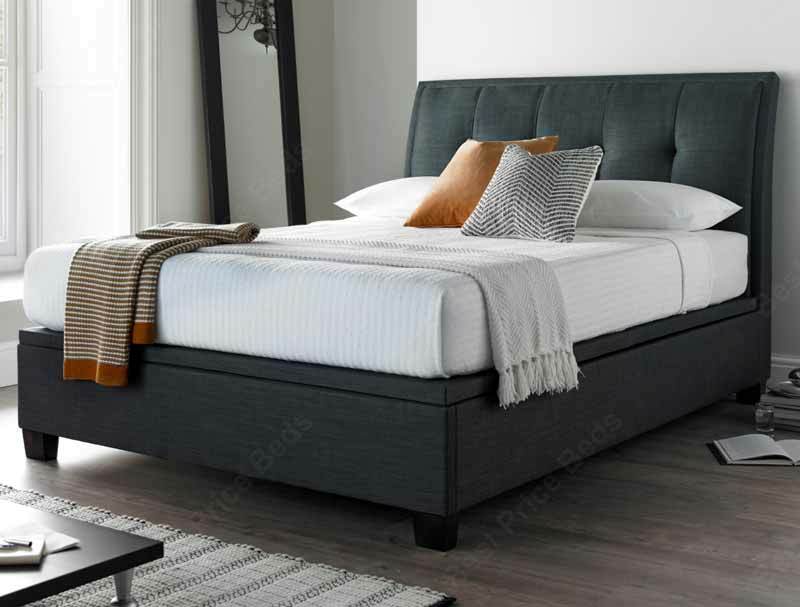 It has a new style platform top hard base instead of the conventional sprung slatted base, this allows the mattress to sit right near the edge of the frame making it perfect for bedrooms where space is at a premium. The Accent or Miles is available in 3 standard sizes double, king and super king in a choice of oatmeal or slate weave. 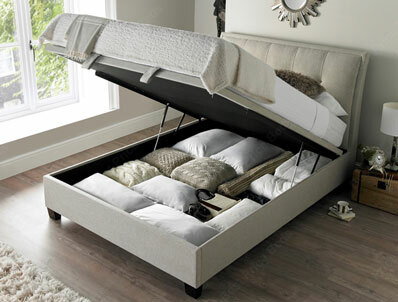 Like all Kaydian bed frames it is made to the highest standard and is delivered flat packed for home assembly.